References bline, f, Random::get_seed(), synfig::ValueBase::set(), SET_INTERPOLATION_DEFAULTS, synfig::ValueBase::set_list_of(), Random::set_seed(), SET_STATIC_DEFAULTS, and zero(). References bline, synfig::Rect::expand(), synfig::Rect::expand_x(), synfig::Rect::expand_y(), synfig::ValueBase::get(), synfig::ValueBase::get_list_of(), and zero(). References synfig::ValueBase::get(), synfig::ValueBase::get_loop(), IMPORT_VALUE, IMPORT_VALUE_PLUS, and synfig::ValueBase::set(). 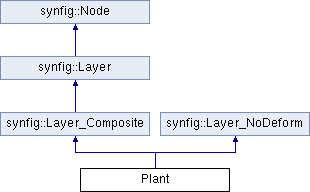 References synfig::Context::accelerated_render(), synfig::Surface::blit_to(), synfig::Surface::clear(), synfig::Layer_Composite::get_amount(), synfig::Layer_Composite::get_blend_method(), synfig::Layer_Composite::is_disabled(), and RENDER_TRANSFORMED_IF_NEED. References synfig::Context::accelerated_cairorender(), cairo_paint_with_alpha_operator(), synfig::Layer_Composite::get_amount(), synfig::Layer_Composite::get_blend_method(), and synfig::Layer_Composite::is_disabled(). References synfig::Layer_Composite::get_blend_method(), synfig::Context::get_full_bounding_rect(), synfig::Layer_Composite::is_disabled(), and zero().